There is a dent in the sight drum. 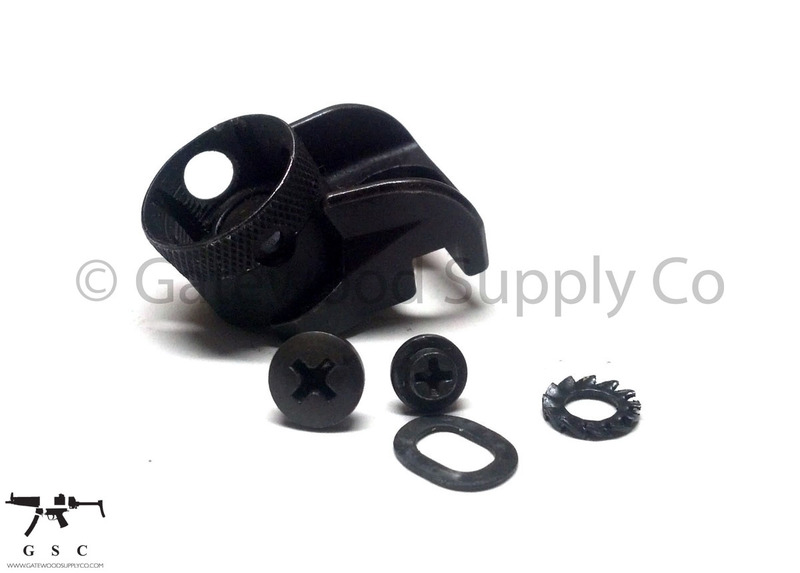 Includes Rear sight, detent, spring windage screw, sight screw, washer and locking washer. Can be mounted on all 9x rear sight weldments. Unit is can be repaired however due to the dent, which can vary in size/location, is being sold as is. Factory correct for HK MP5, vs. military surplus g3 or hk33 surplus contract part when you can get a real German Sights. Drum has 4 Positions with different aperture size for a variety of ranges.